As Timex fights to become the first 2-time EPT Champion he finds the young upstart Dominik Panka is standing in his way. Check out a few pivotal hands from what PokerStars calls “one of the most epic head-up battles” the EPT had ever seen. Dashboard cam tells much of the tale. John Newmerzhycky and William “Bart” Davis, a pair of poker players fresh off a trip to a WSOP Circuit event back in 2013, were stopped by Iowa State Patrol resulting in, what they say, was an illegal search and seizure of over $100,000. The incident led to their homes being searched, charges being brought and, according to USA Today, even a stroke for Newmerzhycky. Now, the pair have filed a lawsuit to fight back in what they say is a tale of unconstitutional actions and profiling on the part of Iowa state police. The cliff notes of this tale have the recent participants of the tournament driving from Illinois back to California when the Iowa State Patrol were “tipped off” about a potentially criminal vehicle passing through the state. The police pull the pair over using the reason that they failed to signal when passing another car and then used that excuse to interview the players. At the end of the interview, the trooper allows the men to leave, but right before they do, they reverse their decision, call in a K9 unit and proceed to search the car. 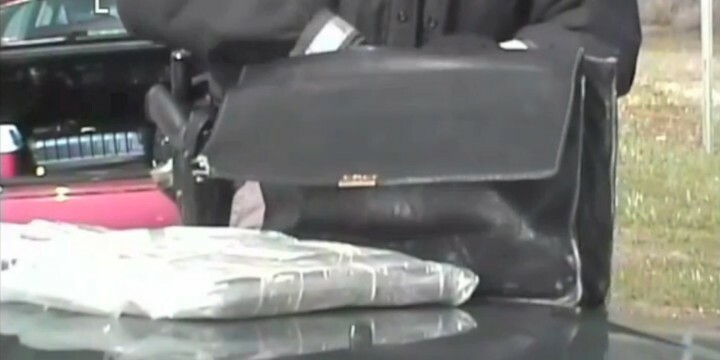 They find large amounts of cash (allegedly the players bankroll) as well as a “grinder” (which if we understand, is used to prepare weed before smoking) with a tiny amount of pot residue inside. Boom. Cash seized, men questioned and cited for drug paraphernalia and finally released. Their California homes were then raided the next day. Turns out that the dashboard cam on the troopers car show that the poker players did use their signal and that everything that came after that may have been completely invalidated. The pair have been fighting the seizure ever since and have even recovered about 90K along with having the CA charges have been dropped. But for the poker players, there was much more lost and so to court this case looks to go. Newmerzhycky also wants to be compensated for damage to his health that he believes was brought on by legal troubles. He had a glass-blowing business he hoped to restart, but suffered a stroke after learning about the California charges. “They destroyed my life, destroyed my reputation, destroyed my health,” he said. A wrap up of law-related semi-relevant crime and pokerment. 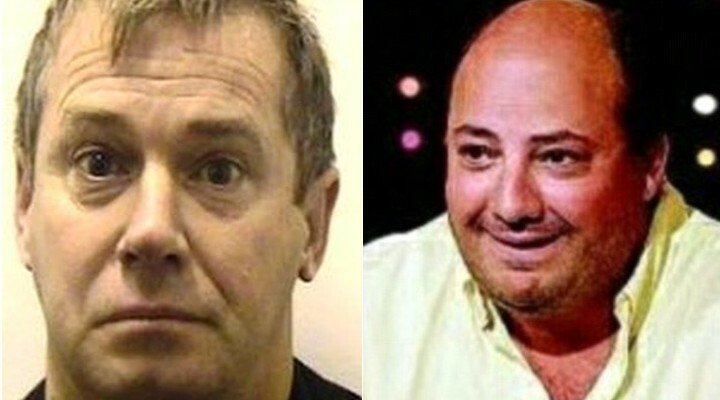 Robert Knight, a suspected drug smuggler, was scooped up by coppers in Spain while taking a seat in a poker game. Knight, who was one of the UK’s most wanted fugitives had been on the run since 2008. How is this related to poker? Well, according to BBC News, he was in a sports bar playing a friendly game when cops burst onto the scene, guns out, and got their guy. The game of poker gets the assist. Greek “poker pro” Achilleas Kallakis, who got grounded for £766M property fraud, is going to have to reimburse some of that. How much? Only about £3M. According to the UK’s Daily Mail Kallakis used those millions to fuel a Lifestyle of the Rich and Famous (duh) which included playing a bunch of high roller tourneys. A sample of which you can check out below. While it’s not the kind of poker we’re used to talking about, a Scranton man got popped for trying to extract an bonus bet at the Mohegan Sun's Texas Hold ’em table game. Last week, the Times-Tribune reported that 27-year old Qualeek Tamel Miller is accused of winning by fraud after he decided to slide a $5 chip on the “bonus bet” circle after he discovered that his hand qualified for it. His return was $100 on the 20-1 shot, but after being discovered as a cheat – he was forced to post $5K in bail. Finally, not a exactly a clash of poker and the law but famous high rolling pro Dan Shak is looking at a new court date in relation to his “banging the close” case we posted about earlier this year. Shak, a noted high roller and also a Wall Street big-wig, is being accused of exercising a trade that he was supposed to be banned from doing. Now, the U.S. Commodity Futures Trading Commission is breathing down his neck and is allegedly looking to issue Shak a lifetime ban. Heavy stuff with real world implications for Shak if the CFTC have their way. For his part, Shak’s legal representatives deny the claim but it still looks like Shak is in store for a fight. Avid poker players the world over have at least one goal in common – make their way to the World Series of Poker Main Event. And if you’ve even been, then it’s probably your goal to make your way back. In this package for the 2014 WSOP Main Event on ESPN, currently airing Sundays on ESPN, the fondness of the event itself is seen through the eyes of a few first-timers who live the dream – make it to the Main Event and make a deep run of it. Bradley Tuck, Tom Sarra, Jr. and Marcia Kuntz check in with the camera over the course of a few days and you see the excitement in their eyes as they dream of making the November Nine. Bonus: More excerpts from the WSOP on ESPN. Dan Smith talks about his background in chess and how it helps him on the felt. It’s the richest high roller tournament on the EPT, the Super High Roller from Monte Carlo. 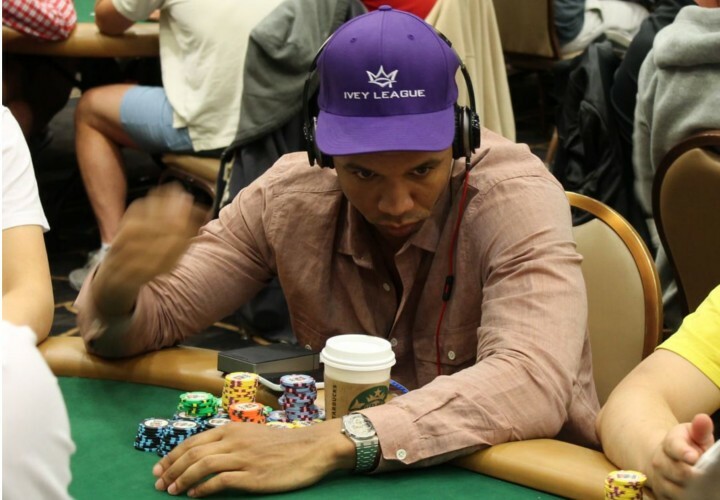 With a feature table full of sharks like Phil Ivey, Mike “Timex” McDonald, Old Schemion, Justin Bonomo, Jason Mercier and more, you know that the highlight-reel action of the PokerStars broadcast will be intense. So take a break from your workday and relax for an hour with James Hartigan and Joe Stapleton as they kick off the final high roller of EPT Season 10. Two-time 2014 nominee Dale Philip NOT nominated in the excessive celebration category! Cheerio, pip, pip! It’s time once again for the British Poker Awards where the best and brightest from the UK poker scene get in a room and drink themselves into oblivion. Sure, that sounds like a standard Wednesday in pubs across the Queen’s Kingdom but on this night, awards will be handed out and your voice can be heard. Nominations for the 2014 BPA’s are online right now and you can actually cast your vote in the “Readers’ Choice”. What did you read? Who knows, but that shouldn’t stop you from clicking buttons. Who is the Best Live Tournament Player? Breakout Player of The Year? Personality of the Year? You can help decide. Your votes as well as a judging panel of poker media outlets (no not F5, but a bunch of others that you click on) will pass out some awards. While the nominations are in…the event itself has yet to be announced. So, while officials are locking down those details just go pick some names, give the BPA’s a few clicks and stay tuned. To make this post worth the internet it’s published on, we’ve included a recent episode of RIU. 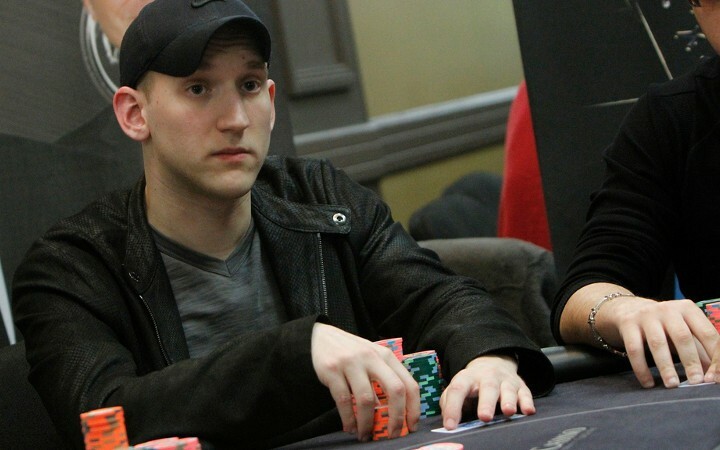 Not a big deal and probably not even post-worthy, but we happen to notice that while the news of Jason Somerville leaving Ultimate Poker was already a confirmed certainty, his profile has officially been removed from the roster of Team U pros. The once flush stable of high profile pros is now left with “Me vs. U” stars Danielle Andersen and Dan O’ Brien and, of course, Antonio Esfandiari – UP’s very first signee and rumored 1% owner of Ultimate Poker. Go ahead – see for yourself. WSOP Bracelet Winner’s viral video get some context. WSOP Bracelet Winner chalks it all up to having some fun. Yesterday we posted about World Series of Poker bracelet winner Grant Hinkle's near viral video of extreme Kansas City Chief fandom, literally, “in the face” of a stubborn New England Patriots fan. Well, late last night Hinkle took to the Two Plus Two forums to tell the full story, as he saw it, of how he came to be “face f***ing” the man sitting in the stands. We boo all opposing fans going by. Nothing vulgar, just booing. Most laugh and move on. This guy turned back around after getting boo’d and then started trying to tell us about Tom Brady/Patriots. We continued to boo him with him staying in our face for 2 minutes until he eventually sat down in the aisle outside our seats. We kept booing and then when the White Stripes song came on I started “dancing at him”. Crowd was laughing and cheering me on. I got frenzied and definitely took it further than I should, but I am a sucker for a hilarious opportunity and laughs. Wake up the next day and it has gone viral. Oops! When we first saw the video on Tuesday morning, it had 105k hits…as of this writing the video is a few thousand away from eclipsing 400K views. While Grant is taking some heat for how he comes off in the video. He seems to be taking it all in stride chalking it up to a life experience. Ultimate goal is to have fun and make memories. I think the people that default to “d-bag” move are probably leaving a lot on the table when it comes to life. Enjoy it! The guy that got air humped enjoyed his time, otherwise he would have left. We didn’t force him to turn around come back and sit in the aisle right next to where he got boo’d. He wanted a confrontation. Like I said, I took it past the line, but I now have a memorable life experience. Ivey explains his edge to sportscaster James Brown. Phil Ivey will testify in the court of public opinion on Tuesday October 7th at 10pm ET/PT when 60 Minutes Sports aires an interview and profile of the People’s Champ. Ivey, who is battling a pair of high profile lawsuits that include allegations of cheating will have his case heard, by you, when the program debuts on SHOWTIME. UFC Star Rashad Evans to spar with Bilzerian? He keeps saying he’s broke, but he keeps posing with a bunch of cash. Jean-Robert Bellande takes a photo with UFC Megastar “Sugar” Rashad Evans and a single $5K Aria chip and a notion of what to do with both of them. If Blizerian, the Instagram tough guy, wants to spar with the Former UFC Lightweight Champion, there’s a good chance that JRB would have to part ways with that $5K, because Evans is no joke. Why would JRB want to see Blitz on the canvas? Maybe it has something to do with this photo Bilzerian recently posted…right after he claims to have bluffed JRB out of $500K. Last week Tournament Director extraordinaire, Matt Savage finally received some nominal amount of the over $30K he was owed for his work under Annie Duke and Jeffrey Pollack for the doomed Epic Poker League. “CalvinAyre.com's Lee Davy, perhaps the only person who actually liked the name “Epic”, reached out to Savage to get his thoughts about what was good and what went wrong with the smash-and-grab poker tour. What did the EPL do right? I think those that were there, working from the start, really felt part of something that could of changed the industry, and hoped it could continue. The players were given added money, free food, hotel rooms, and it was great television. Yes the fields were tough, but it was something that nobody had ever offered the players before. Annie tried hard to do right by the players but had a lot to overcome with her public opinion: tarnished by Ultimate Bet and Daniel Negreanu slinging insults and negative comments about EPL—which turned out to be correct—about the failure of the project. Annie doesn’t deserve the blame for the Epic failure. Barry Carter looks at why chat abuse exists. 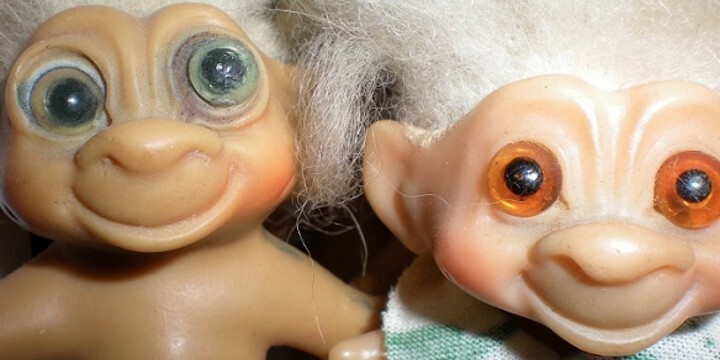 Pokerstrategy's Barry Carter takes to his column to not only help you identify how and why these people continually spew their hateful (yet sometimes funny) words, but how you can take all their power away from them. Why does Barry do this? In defense of his dear mum (we always knew Cater was a good guy). There is a very compelling explanation by John Suler about why we abandon so many rules of polite society when we are online, which is called the online disinhibition effect. It mostly relates to social media and forums, but the poker chat box applies too. Wanna see the 6 reasons why people feel so free to say such horrible things? Check it out: Why does poker chatbox abuse happen? Hinkle taunts rival fan during Monday Night Football. Clearly the Hevad Khan rule of excessive celebration in poker does not apply in NFL stadiums. 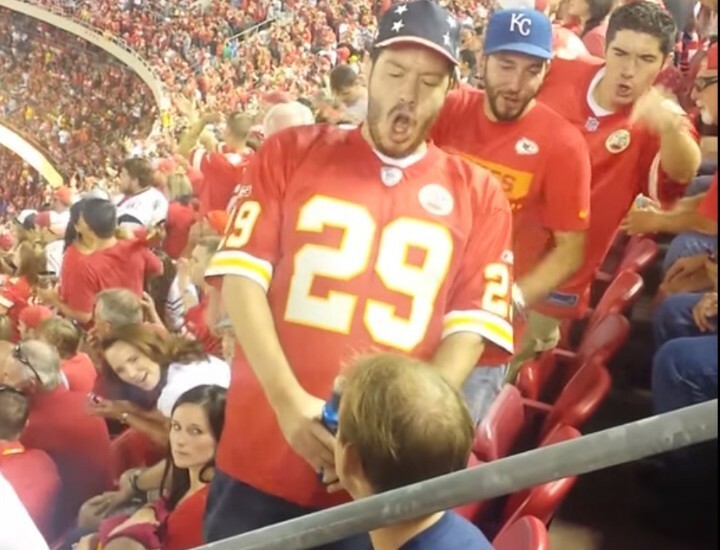 Check out this video of WSOP bracelet winner Grant Hinkle, a rabid Kansas City Chiefs fan, umm…“celebrating” his team right in face of a forlorn New England Patriots fan during Monday Night Football last night. If this Patriots fan is in reality pals with the Hinkle’s (as you can see Grant’s 2013 SHRPO Winning brother Blair is two seats to his right) then this is passable as funny. If that’s a random guy who is coming to root on his team, as it appears, then Grant kicked down the door and claimed his spot in the Team Loyalty Douchbag Hall of Fame. Grant seems to be taking in influx of media attention more than “in-stride”, he even seems a proud of his portrayal. Grant is going to get another shot at going over the top as the Kansas City Royals take on the Oakland A’s in the MLB AL Wild Card Playoff Game tonight and, yes, he’ll be looking to find an A’s fan to “go all-in” with there as well. Another week, another episode of the made-for-tv cash game of Poker Night In America. The $25/$50 action is still currently coming to you from the Maryland Live! Casino as notable pros like Matt Glantz, Gavin Smith, Greg Merson and David “ODB” Baker battle it out on the felt. This episode host Chris Hanson and the PNIA crew turns the focus to the affable Tom “DonkeyBomber” Schneider and his questionable taste in fashion. Schneider, a 4-time WSOP bracelet winner, is generally considered a mixed game specialist but here he shows that he is right at home mixing it up on the NLHE front as well. Looking for more PNIA? Check out episode 11 right here. Happy to be getting healthy. Playing lots of poker can lead to an unhealthy lifestyle. Sitting at the table or in front of your laptop for hours on end, eating whatever you can get your hands on and failing to hit the gym can pack on the pounds. 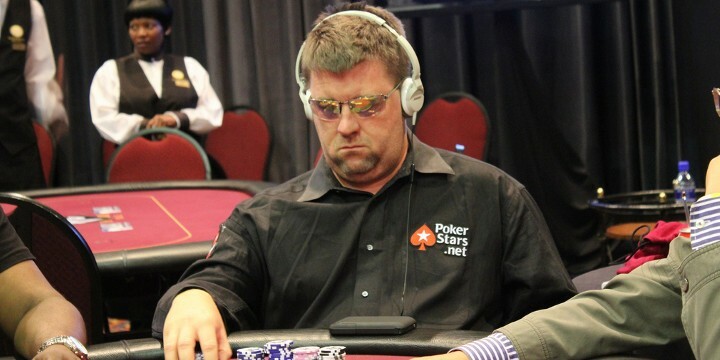 Just ask 2003 WSOP Main Event Champ Chris Moneymaker. While grinding PokerStars WCOOP from the Bahamas Chris was talked into getting a little healthier by his friend and series roomie Calvin Andersen. Calvin, a vegan who takes time to take care of himself, talked poker’s everyman into doing some yoga and eating healthier. Our pals at HighStakesDB found that it inspired Chris so much that he decided to blog about it, practically promising to shed some lbs. before the 2015 PCA. My big kick this fall is going to be trying to get into shape over these next three or four months before the PCA. My goal is going to be to get down to 190 lbs. before then, which is where I’d been for several years up until recently. I won’t look any different, but I’ll know the difference. But before he takes off all that weight, Moneymaker first wants to pound a few brews with you. If you find that you’re going to be this upcoming Isle of Man UKIPT Chris says, don’t hesitate to come on up and chill with him. It’s going to be tough for Chris to keep to his weight loss goal while on the road. He’s going to be at PokerStars Headquarters later this week and then there’s his newfound duties, as reported by CalvinAyre, as Hollywood Poker's tour ambassador. That’s a lot of people to party with and a lot of beer to drink and let’s face it, Calvin Anderson can’t be everywhere. French poker superstar takes a day off. Current Team PokerStars Pro Bertrand “ElkY” Grospellier is known for going out on a limb and liking a little excitement. Here, he and his lady-friend take a trip out to the desert on his day off to hop in a couple dune buggies and race against the clock (and each other) at high speeds. While it looks like a ton of fun was had, let’s hope that the Frenchman doesn’t take too many days off. According to Martin Harris over at PokerNews, ElkY’s also been drifting in the GPI standings. In a week that had very little excitement at the top of the rankings, with “King” Dan Smith retaining the top spot, Grospellier lost quite a bit of ground and fell out of the top 100. While players come and go from the rankings, Harris discovers why ElkY’s drop was found to have unique significance. Looking inside this week’s top 300 and who had the biggest drops, Bertrand “ElkY” Grospellier stands out primarily because his dipping down from No. 74 to No. 122 means he finds himself outside of the GPI top 100 for the first time since the rankings were first tracked in June 2011. Grospellier was ranked No. 1 for a few of those weeks in the summer of 2011, and was still in the top 10 as recently as August 2013. Nice run for the thrillseeker, but he’ll have to get back to tackling the tables and taking less days off if he wants to begin another climb to the top. Learn the theory, use it in practice. Don’t get caught playing passive poker! There’s a long term sentiment in the game that “aggressive poker is winning poker” and in order to ramp up your aggression – you gotta 3-bet. So whether you are a new to the game or have 3-betting as part of your regular routine, check out this strategy video from partypoker's resident online grinder Josef Rantamaki as he gives you some tips and tricks on throwing the villains off the scent of how you are playing. Ramp up the aggression in your game and begin better 3-betting. Hell, this concept is so important someone started a poker clothing company based on it. So pretend to get some work done, watch this video and then put it into practice. Last week we told you about how Dan “Jungleman” Cates went on a mini-media tour – talking with both Pokerlistings and FlushDraw – about how Tom Dwan had been dodging him in regards to the drawn-out Durrrr Challenge. 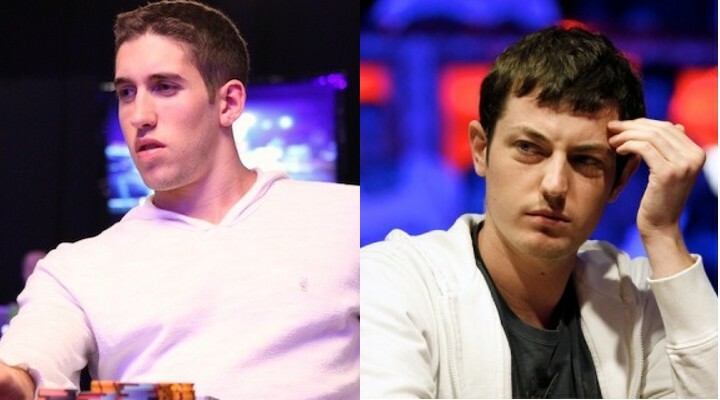 Well, if Jungleman’s campaign isn’t working on Dwan, it seems to be working on the online poker playing public as a thread over on Two Plus Two entitled 'Is it time to call Tom Dwan a scammer?’ is beginning to catch fire. Not the least of that heat is brought on by the single line post of none other than WSOP One Drop winner and the undisputed king of 2014, Daniel Colman. The media-shy Colman weighing in on the debate got the redditors tackling the topic as well. What do you think? Is it time for Tom “Durrrr” Dwan to make good on this bet or has the challenge aged so far post Black Friday that it’s understandable for him not to finish? Visit the thread on Two Plus Two and have your voice be heard! Hop over to reddit and down vote everyone you disagree with! Have some fun, it’s Monday! 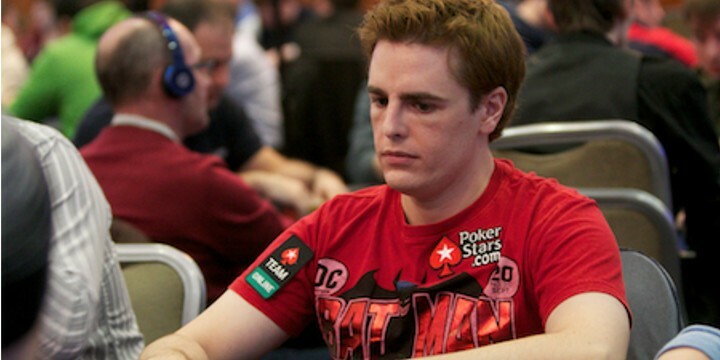 Appreciative Somerville confirms a parting of ways with Ultimate Poker. On Friday we reported that it looked as if sponsored poker pro Jason Somerville was on the outs with his current sponsor Ultimate Poker. On Sunday, Jason produced a live episode of his popular RunItUp program where he addressed the rumors and confirmed that he and the show are now “unaffiliated” and that he’s parting ways with the company billed as the first legal U.S. online poker site. When it did though, Jason was happy to report that the parting of ways was not a contentious one. Everyone was happy with all of the previous episodes and the separation was strictly a financial decision. A gracious Somerville made sure to heap thanks on his former sponsor, thankful for the opportunities afforded him in his time there. “I’m very grateful to Ultimate Poker for everything we’ve ever done together,” Somerville stated and even left the door wide open for he and Ultimate Poker to work together in the future. No longer sponsored, Jason likened it to all of a sudden being in an open relationship. For fans of the RunItUp broadcast, Somerville did his best to put any fears at ease stating that Season 2 will continue as planned, with additional shows being live streamed on this Twitch channel. Also the upcoming live events at Reno Peppermill will move ahead as planned with UP support. On the bright side for fans, now that he’s unaffiliated, the RIU guest list is now open to just about anybody so Jason continues to be optimistic about the future of the show. As of Sunday night, Somerville’s image and bio are still a part of Ultimate Poker’s “Team U”.